Part of my master study of Aleksander Ivanov's "The Aparrition of Christ to the People". 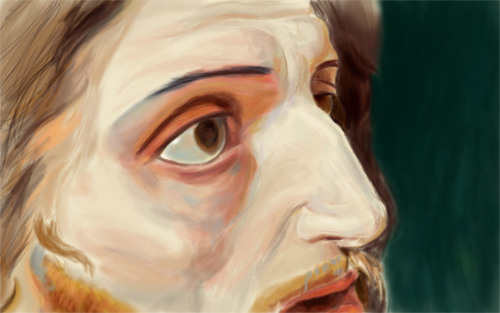 Close up of John the Baptist (which would be a cool mafia name). Thanks to Google for putting together GoogleArtProject. This painting is massive and the detail that you can see with GoogleArtProject is really impressive. A few hours in and started on my desktop with my Intuos 4 then worked on at the library with my laptop and Graphire. I left my house for a few hours, believe it!